Every day, 500 children die from diarrhoeal diseases in Sub-Sahara Africa – many of these deaths would be preventable through good hygiene practices like washing hands after using the toilet or using a latrine instead of open defecation. In East and Southern Africa, many UN Volunteers work with UNICEF to propagate good water, sanitation and hygiene (WASH) practices and thereby prevent diseases and deaths. 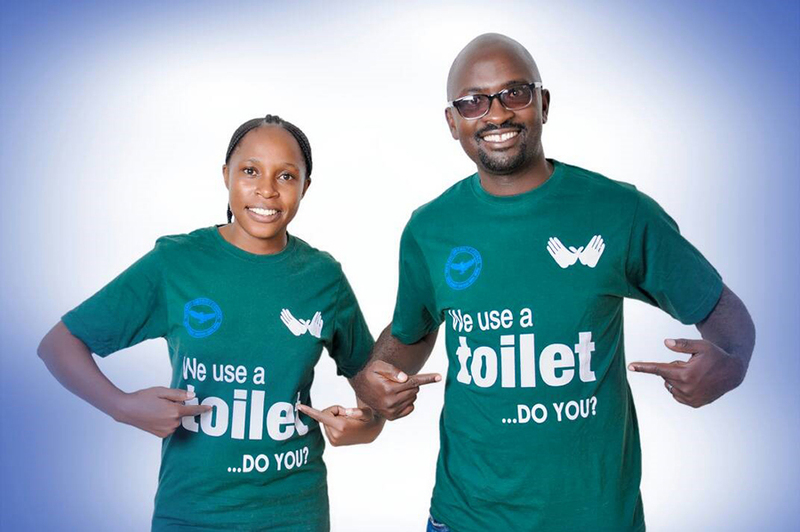 Shula Kasongamulilo, national UN Volunteer Provincial Sanitation Technical Advisor with UNICEF in Zambia, campaigns for healthy WASH practices. Dirty water and poor sanitation is a major problem in Zambia in southern Africa, where 50 per cent of the population does not have access to sanitation. This has led to recurrent cholera outbreaks in many parts of the country. Shula Kasongamulilo serves as a national UN Volunteer Provincial Sanitation Technical Advisor with UNICEF assigned with the Department of Housing and Infrastructure in the Ministry of Local Government, and is based in the Copperbelt Province. In the four districts she covers, only 20 per cent of the population had access to sanitation in May 2017 and a stark zero per cent had access to improved sanitation, such as private bathrooms with standard hygiene. Shula and her team started coordinating water and sanitation activities. Within five months, the project achieved sanitation for 68 per cent of the districts' population, and was able to provide improved sanitation to 20 per cent. "By the end of the first quarter of 2018, sanitation coverage is at 80 per cent and 45 per cent can access improved sanitation facilities," says Shula proudly. Bipin Jha is an international UN Volunteer who works as a Water and Sanitation Officer for UNICEF in Eritrea. According to the Eritrean People Health Survey 2010, more than 70 per cent of the country’s population practices open defecation, in rural areas even up to 90 per cent. Bipin uses his IT and database skills to contribute to a British-funded project that aims at increasing access to water and sanitation facilities, and trained government workers on using digital tools to collect sanitation data. However, it’s not only important to provide sanitation facilities to communities. Residents also need to be aware of the benefits of washing hands and using proper latrines to actually utilise the facilities. "Raising awareness for behavior change is among the best ways to impact communities directly," says Lalatiana Rahelisoa, who works with UNICEF as a national UN Volunteer in Madagascar. National UN Volunteer Tendai Banda does this in Malawi for UNICEF. In Malawi, the school drop-out rate is 10 per cent and many adolescent girls leave school when they start menstruating due to the lack of appropriate sanitation facilities. Tendai contributes to UNICEF’s social media account and writes articles to raise awareness of WASH practices, and UNICEF’s impact on providing sanitation facilities. Shula in Zambia also agrees on the importance of teaching adults and children on using hygienic practices. "I met this boy in a community," she says. "After teaching him about WASH, he told me: when my friends visit my house, we play next to the toilet so we can see who does not wash their hands after leaving the toilet. And then we laugh at them to make them feel bad about it." This shows how behaviour change can be propagated within the community, believes Shula. Our UN Volunteers are instrumental in supporting UNICEF’s mandate of ensuring the well-being of every child. They sacrifice their time and efforts to ensure proper sanitation to save children from dying of preventable diseases. "I lost my father very young," says Lalatiana, "and many people helped me getting through school and university. Now I want to give opportunities to young people to attain their dreams just as I did."